Definition at line 3362 of file CCopasiXMLParser.h. Definition at line 3365 of file CCopasiXMLParser.h. Definition at line 6745 of file CCopasiXMLParser.cpp. 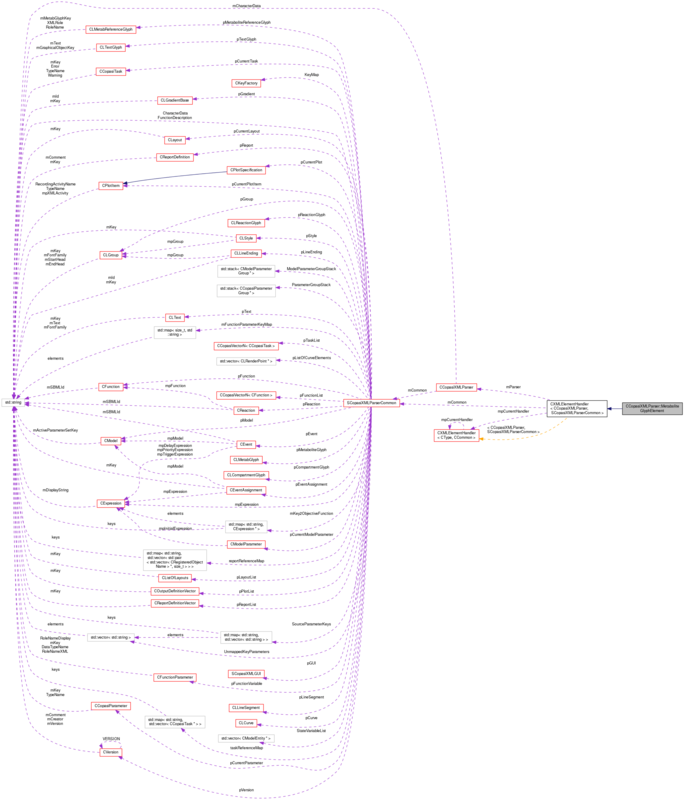 Definition at line 6750 of file CCopasiXMLParser.cpp. Definition at line 6855 of file CCopasiXMLParser.cpp. Definition at line 6753 of file CCopasiXMLParser.cpp. 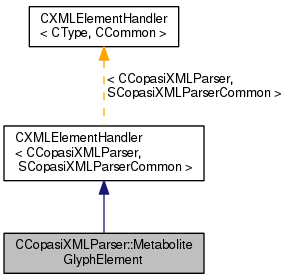 References CLayout::addMetaboliteGlyph(), CCopasiMessage::EXCEPTION, CKeyFactory::get(), CModelEntity::getKey(), SCopasiXMLParserCommon::KeyMap, CCopasiXMLParser::mCommon, MCXML, CExpatTemplate< CExpat >::mParser, SCopasiXMLParserCommon::pCurrentLayout, SCopasiXMLParserCommon::pMetaboliteGlyph, CLGraphicalObject::setHeight(), CLGraphicalObject::setModelObjectKey(), CLGraphicalObject::setObjectRole(), CLGraphicalObject::setWidth(), CLGraphicalObject::setX(), CLGraphicalObject::setY(), UNKNOWN_ELEMENT, and CCopasiMessage::WARNING. Definition at line 3373 of file CCopasiXMLParser.h.